Randomize Panels:  Ability to randomize questions/attributes on a questionnaire page. Randomization will occur for sequential panels where the randomize panels checkbox is [X] checked. You'll want to check at least two sequential panels to see any randomization occur. Any attribute types can be mixed and matched for any sequence of panels to be randomized. To break up a sequence into two separate sequences use a blank instruction box without randomization selected. When used with Images, multiple images within a given panel will also be randomized. 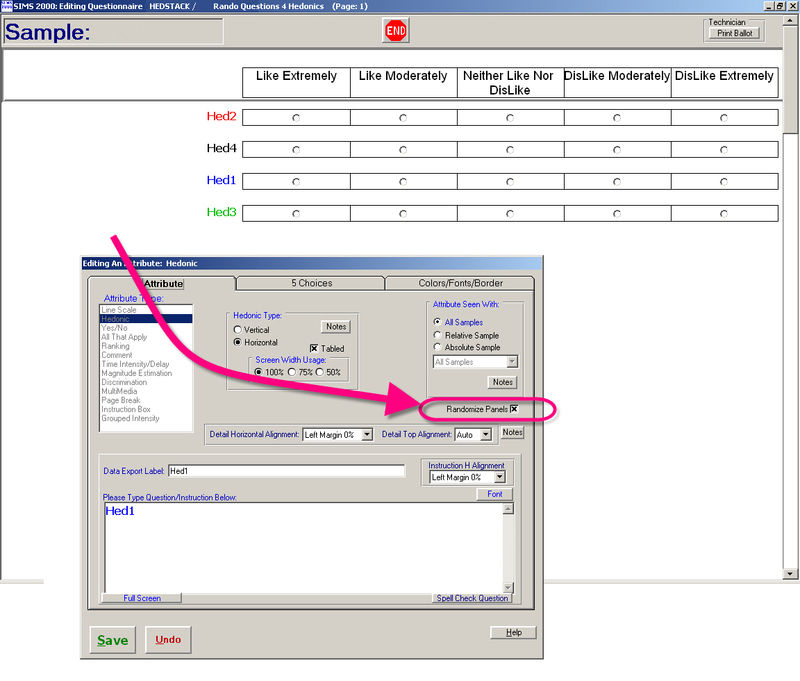 Use Preview Questionnaire during technician editing to test your randomizations.